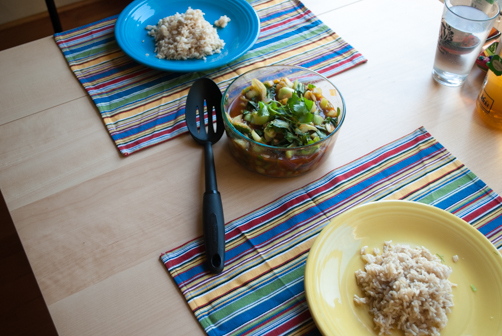 Home » The Ultimate Simple Meal Plan: Zhang Dinners Plus a Pendants by Alma Giveaway! Hello friends, today I wanted to share a post I’m really excited about. It’s the ultimate guide to SIMPLE meal planning and I’m designating them ‘Zhang Dinners’—after my good friends that inspired this post. Plus if you read until the end, there’s a special giveaway! Meal planning is when you make a calendar of what will be eaten for dinner (sometimes breakfast and lunch too) for several days, a week, or even a month ahead. Then going through the recipes you make a grocery list. This ensures you’re only buying what you need and also cuts down on those impulse buys (guilty!). I want to preface my meal plan post with saying that I’ve never been able to wrap my head around the idea of meal planning. The idea of sitting down with my favorite cookbooks and planning the recipes and grocery list just seemed impossible and not my style. Granted there are many days I like to pick and make other’s recipes, it’s more often the case that I’m using up fridge and pantry items and flying by the seat of my pants. I love flying by the seat of my pants. I do see the benefit of meal planning though—it can save time, money and prevent groceries from being wasted—which are A++ in my book. I was finally able to wrap my head around meal planning when I stayed with our very dear friends in Illinois this past year. I adapted ‘meal planning’ to a way that works for me and allows creativity and flexibility. 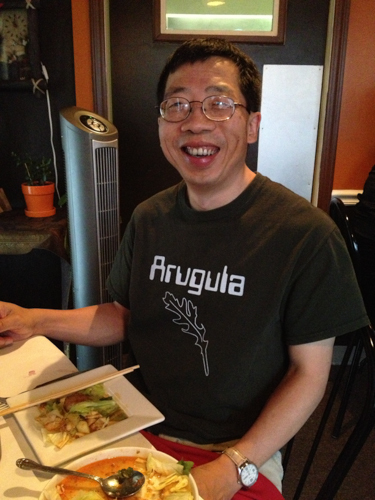 Our friends, Alma and Yangling, aren’t vegan or even vegetarian but they do eat a lot of vegetables and grains with dinner along with a much smaller portion of meat than most people would have when sitting down to dinner and I can stand behind all of that. Meet Yangling also called Y, he’s wearing a FYS shirt! Here we’re out to eat at Tusk, our favorite Thai restaurant. 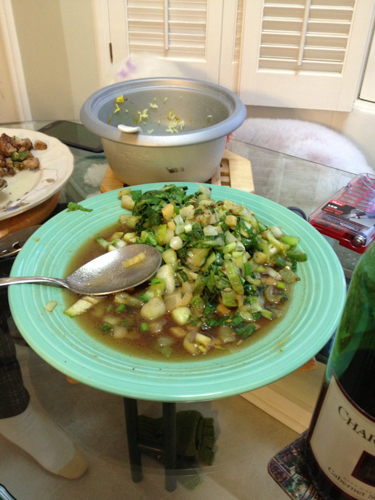 While staying with them, I observed that Alma would buy the vegetables for the next few days and each day take out enough of chicken, tofu, or pork from the freezer for that night’s dinner and at least one leftover so Yangling has a lunch to take to work the next day. 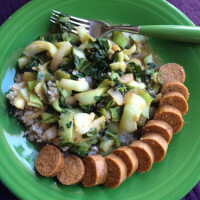 The meat in our house is substituted with more veggies, legumes, tofu or a faux meat product. Alma will usually prep their veggies and start the rice in the rice cooker around 5 pm and then when Y arrives home at 6 pm, he’ll start cooking everything. They’re almost always eating within 20-30 minutes. So how does this work exactly? What is a Zhang Dinner? So when you’re planning for the week you’d buy 1 head of cauliflower, 7-8 baby bok choys, 1 head of broccoli, 1 head of celery, enough eggplant for 2 – these are your mains. After the first time using the vegetable it will get easier to know how much of it you need. Then I like to get a few bunches of fresh herbs like cilantro, parsley, and basil. These will last in the fridge for the week and using a big handful of each (one, the other or both) per night. Next pick out several jalapeños (if you like spicy), fresh garlic, white/yellow onions, green onions, and ginger. The garlic and regular onions will last several weeks in your cupboard or pantry. Trim the roots of the green onions and place them in a glass of water on the counter and they’ll last a lot longer than they would in the refrigerator. Adding in a little of these to each night’s meal will add so much flavor and good-for-your-body-nutrients. I love to use a few different spices to bring out whatever flavor we’re feeling that night. You can eat the veggies straight if you make a bit extra or add them to a whole-grain to add a nice and dense carbohydrate into the mix. what would you serve it over? The main vegetable in this dish is cauliflower. 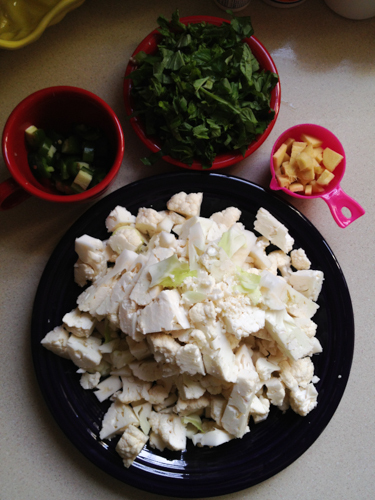 One head of cauliflower was enough for one dinner plus a small amount of leftovers for Jeremy and I.
Here’s the cauliflower all chopped which I cooked with a quarter cup of ginger, 1 jalapeño, and cilantro. 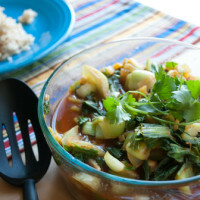 Another day is 7-8 baby bok choy or sum choy, garlic, onion, jalapeño, ginger, cilantro and a little red curry paste. 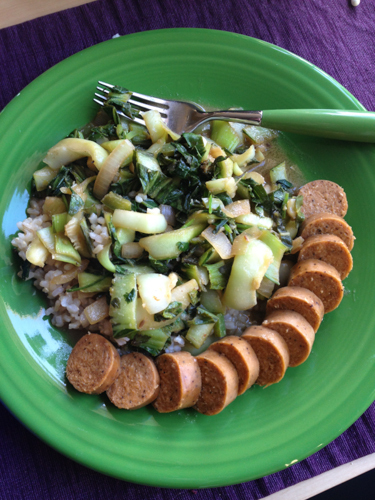 It comes together like this and we serve it over brown rice. Here’s the cauliflower dish. I feel comfortable just adding a few spices until the flavor is right. Like curry seasoning, cumin, and coriander. My mouth is watering just looking at this old picture! 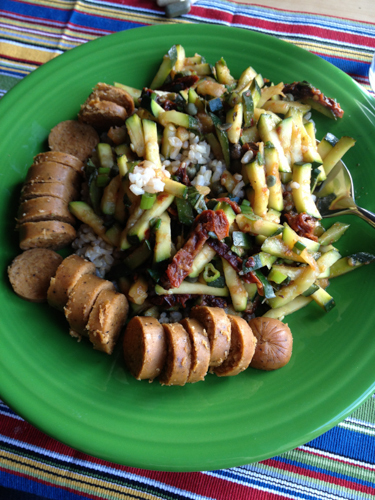 This night was Julienned zucchini using the mandolin along with sun-dried tomatoes and spices served over brown rice with tofurky. It really doesn’t matter too much how you prep as long as each ingredient is uniform in shape so they cook evenly and by that I mean all the cauliflower is about the same size, all the ginger the same and garlic etc. If you’re cooking rice, do this before you prep the vegetables. Brown rice usually takes about 40 minutes. 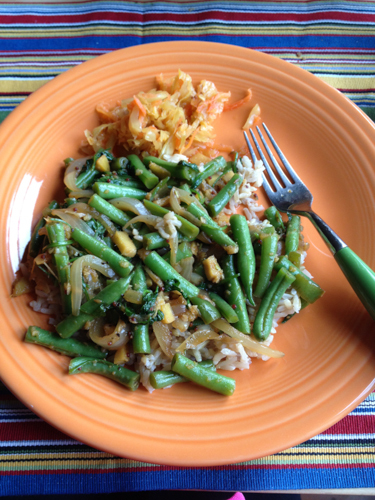 The time it takes to prep the veggies and cook them will work out just perfect with when the rice finishes and maybe even a few minutes before. 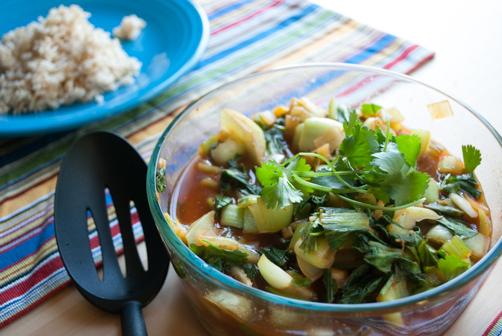 I prefer to water sauté instead of using oil – 99% of the time. To do this, in a large saucepan add a thin layer of water, enough to cover the bottom of the pan. Add in the white/yellow onion and water sauté on medium or low-medium heat until translucent (about 3-4 minutes), then add in the garlic and ginger and sauté another 2 minutes—add additional water if you need to, during any of this, just enough to keep things from sticking. 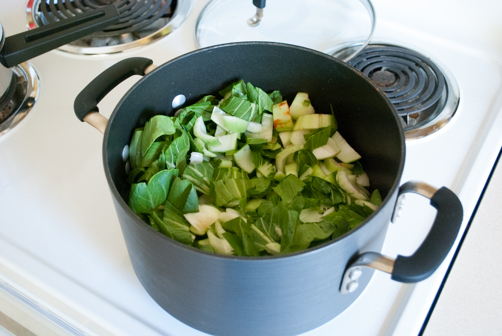 When you’re about to steam the veggies – a good amount of water to have before starting is like the picture above. Add your vegetable to steam and cover. 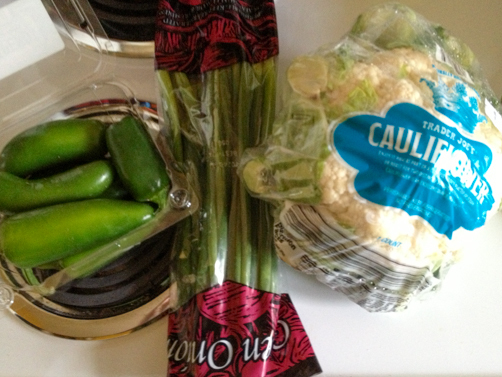 Cook until the greens start to reduce or if it’s cauliflower or similar until it’s tender. 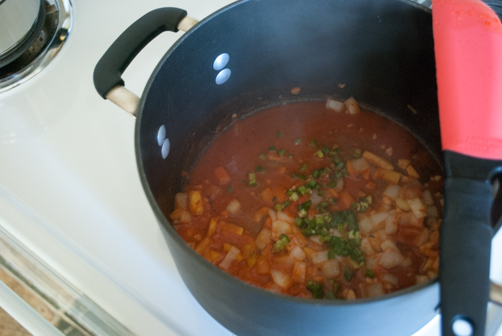 I like to add any spices about half way through this process – stirring everything to coat. 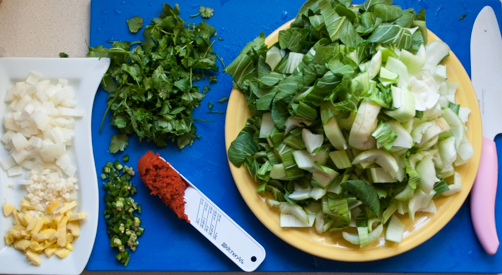 Then adding fresh herbs and green onions at the very end before serving. Mix in the rice/grain and plate or serve separate at the table. Bring 1 cup of water and rice to a boil in a small saucepan - reduce heat to low, cover and cook for 40-45 minutes. In a large saucepan heat water on medium heat, add in onion and cook until translucent about 3-4 minutes. Next add in garlic, ginger and jalapeño and cook another 1-2 minutes. Add a little more water if needed and add in the curry paste, stirring until dissolved. 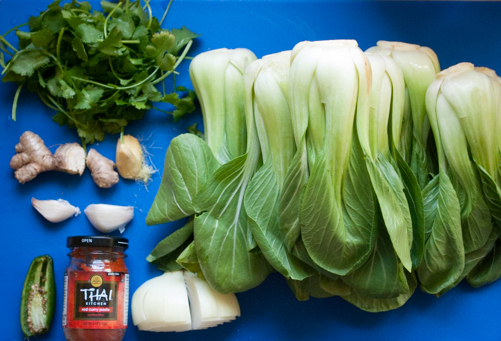 Turn down the heat to medium-low and add in the bok choy. Cover and steam until reduced. It should still be bright green but wilted - stirring every few minutes. Drizzle with sweetener, tamari, and spices - stir until incorporated. 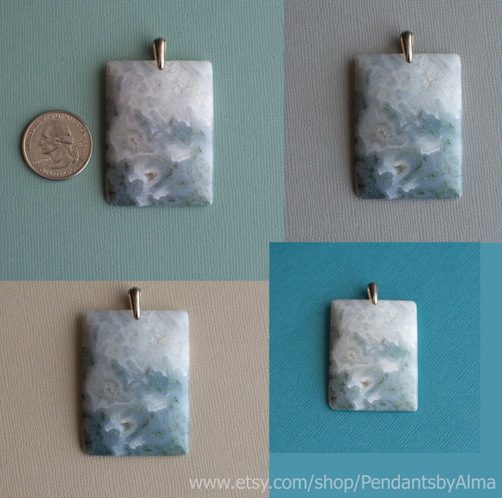 My good friend Alma (of Alma and Yangling) has donated a beautiful natural stone pendant from her etsy store, Pendants by Alma, for a Feed Your Skull giveaway, thank you Alma! This particular stone is a moss agate. It has a silver-pewter bail and will fit any length chain or cord you have. The pendant is approximately 1.5 x 2 inches big. I’m excited to hear what you think of the Zhang meal plan. Do you meal plan or eat as the week goes? Thanks for reading and don’t forget to enter the giveaway! 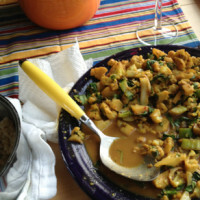 I love cauliflower, especially with curry or Asian flavors. 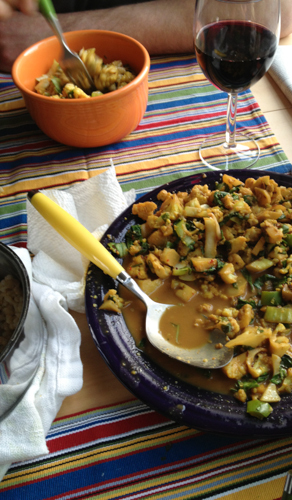 I would make a Zhang dinner using cauliflower, ginger, garlic, curry, tofu and basil- served over brown rice. 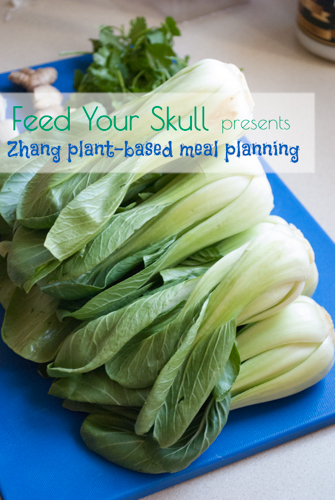 I love the Zhang Meal Planning Guide! I’ve been needing exactly this inspiration to get planning!